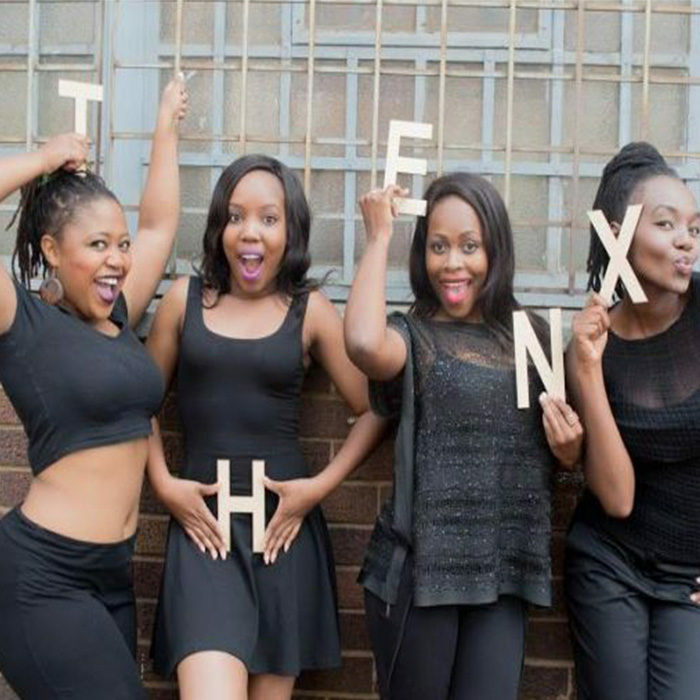 Thenx is a sketch comedy group made up of four young women who met at the University of the Witwatersrand. Kitty Moepang (27), Tumy Motsoatsoe (28), MoMo Matsunyane (27), and Zethu Dlomo (27) are passionate about creating work that holds up a critical mirror to society. Thenx are known for their use of satire and parody to capture the tensions and struggles of everyday life in a comical way. Though their focus is theatre, they are also active on other platforms like Facebook where they are able to reach and engage with large and diverse audiences on various topics. In 2015, Thenx hosted the 5th Annual Savannah Comics’ Choice Awards held at the Teatro, Montecasino and took part in the Vernacular Spectacular show at the Lyric Theatre. They were also invited to perform at the Tedx Johannesburg conference which took place at the Soweto Theatre. Their most popular theatre shows include The Triple M Mammmas! and The People Shall Kurk! which were performed at the PopArt Centre in Maboneng. This year, Thenx features in a TV show called Walala Wasala. Their latest show Azanya is Five To will be performed at various theatres including the National Arts Festival 2016.